Justice Dowd AO, a justice of the Supreme Court of New South Wales, former State liberal minister and President of the International Commission of Jurists, and Senator Kerry Nettle of the Greens, launched the Terrorism Laws: ASIO, the Police and You booklet on Monday 26 July in the Waratah Room at NSW Parliament House. 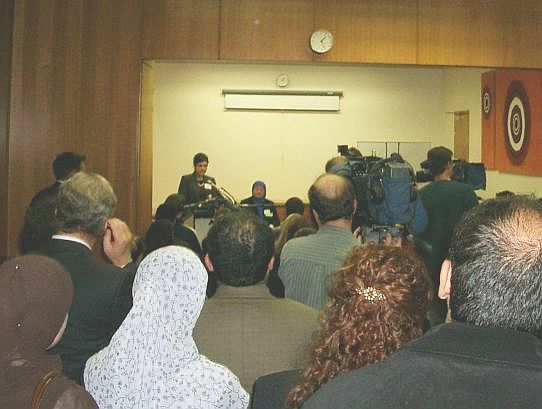 The event, hosted by Lee Rhiannon of the Greens, featured a number of speakers and an audience of approximately 55 people, consisting of both Muslims and non-Muslims. The room was full to the brim, and there wasn't even room to stand. The booklet was a joint project between AMCRAN, the New South Wales Council for Civil Liberties and the University of Technology Sydney Community Law Centre. Amir Butler, co-convenor of AMCRAN, opened the event, before handing over to Agnes Chong, production co-ordinator for the booklet. She explained the motivation and need for the booklet, and explained that she hoped it would encourage debate and discussion of the anti-terrorism laws. She is still waiting for her fridge magnet with the 1800 number where she can find out about her rights (or lack thereof). 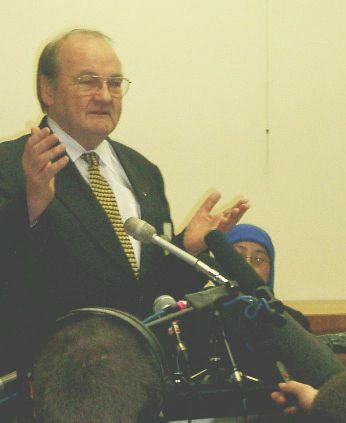 David Bernie, Vice President of the New South Wales Council for Civil Liberties, then explained that it was up to Australians to "Be Alert, but also be informed", encouraging and explaining that it is important for every Australian to understand the anti-terrorism legislation. Vicki Sentas, of the UTS Community Law Centre, explained the impact of this legislation on the community and the need for community organisations to cooperate in communicating to the Federal Government their objections to the legislation. 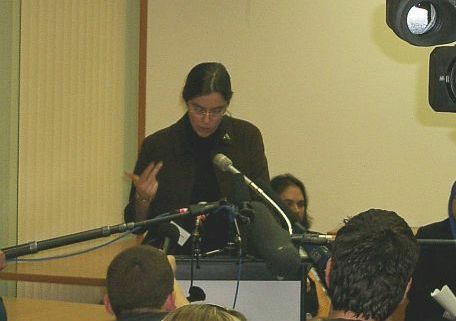 Federal Senator Kerry Nettle, of the Greens, then expanded on her experiences as a politician facing the steady stream of anti-terrorism legislation; and how upset and dismayed she was when she spoke to members of the Muslim community and realised the practical implications of the legislation in engendering fear and alienation. But it was Justice Dowd who explained that even he was afraid that he would be charged under the legislation for buying some raffle tickets at a Tamil community function. He explained that the anti-terrorism legislation was dangerous, and that he thought that it would take a politician with "real guts" to repeal the legislation.